E.On is moving forward to install and test a single wave device to be fully operational in 2010. 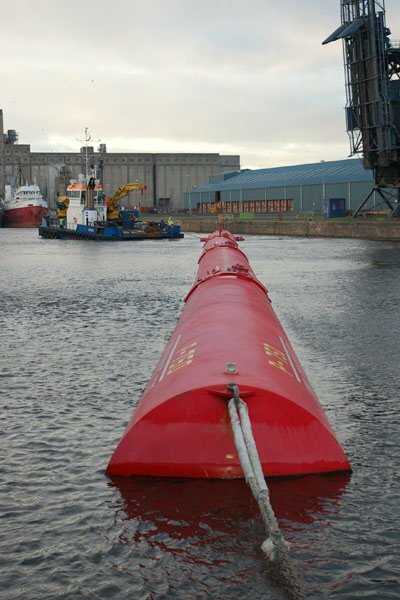 Based around a single 750kW Pelamis P2 device that is currently being built in Edinburgh, it will be installed and tested at the European Marine Energy Centre in Orkney. The first year of technology testing will be an extended commissioning period, with the next two years designed to improve the operation of the equipment. 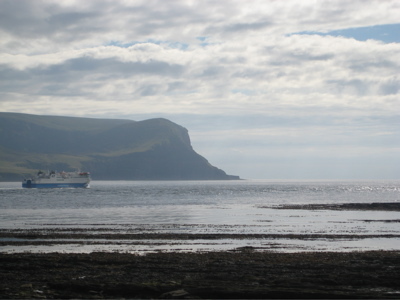 It would become the first utility to test a wave energy device at the Orkney centre, which is the only grid-connected marine test site in Europe. On December 9, 2008 “the Federal Energy Regulatory Commission (FERC) granted a Southern California development company exclusive rights to 17 square miles off the town of Mendocino for a wave energy study. GreenWave LLC’s intent is to eventually produce a 100 megawatt wave energy power plant, more than twice as big as the 40 megawatt project Pacific Gas & Electric plans off Fort Bragg. Due to redefining of the preliminary permit process by FERC, the new preliminary permit does not encourage in-water testing. It does give sole claim and study rights to GreenWave, blocking any local study of the same area. 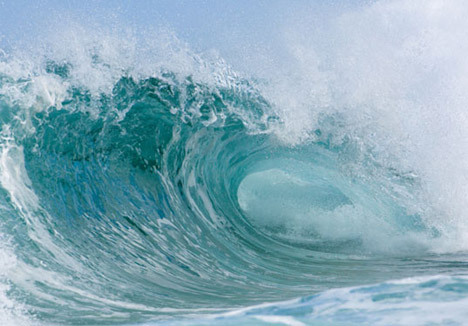 More valuable, the preliminary permit gives GreenWave exclusive first rights to a license to build a wave energy farm, upon completion of the three-year study. The preliminary permit came more than a year after GreenWave, of Thousand Oaks, filed for two preliminary permits. FERC had initially rejected the GreenWave application as too sketchy. GreenWave also was granted a preliminary permit on Tuesday for a nearly identical proposal off San Luis Obispo. GreenWave is a partnership which consists of five men including Tony Strickland, a leading Republican politician in California, who was recently narrowly elected to the state Assembly. Strickland made his wave energy venture a key point of his campaign. His opponent in a heavily Republican district attacked this as “greening” of one of the most conservative politicians in the state. That race, one of the closest in California this year, was decided this week in favor of Strickland, who prevailed over Democrat Hannah-Beth Jackson by less than 1,000 votes. FERC had criticized GreenWave for too few details about who was behind the venture and for not having information about the technology to be used. GreenWave responded by emphatically stating that they weren’t ready to name any particular technology. “Given the time-horizon for getting through the permitting process and the uncertainties of what the technologies will actually look like, GreenWave believes that it would be misleading to provide detailed specifications of a technology at this stage of the development process. GreenWave intends to select the most suitable commercially ready technology as part of the process once preliminary permits have been issued by FERC to further study the site,” the Green Wave filing states. However, FERC’s permit says GreenWave will be using the Pelamis device in the permit issued on Tuesday. The Pelamis, which resembles a series of giant redwood log segments on a string, is the only currently viable commercial technology. The company has said it would use only the most seasoned technology. The issuance is apparently based on an about face made by GreenWave in documents submitted to FERC but not available on the public Website with the rest of the filings. The project site begins a half mile offshore and extends to 2.6 miles from shore in water depths that range from 120 to 390 feet, the GreenWave application says. Local governments, groups and even residents now have a chance to file motions of intervention, which allows the intervener to play an official role in the process.